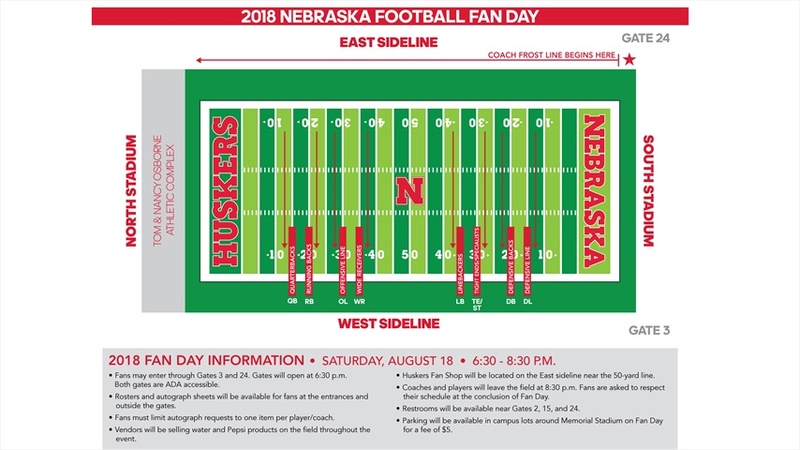 For Nebraska fans planning to attend the annual Fan Day on Saturday, Aug. 18, the Huskers have released information about the evening. 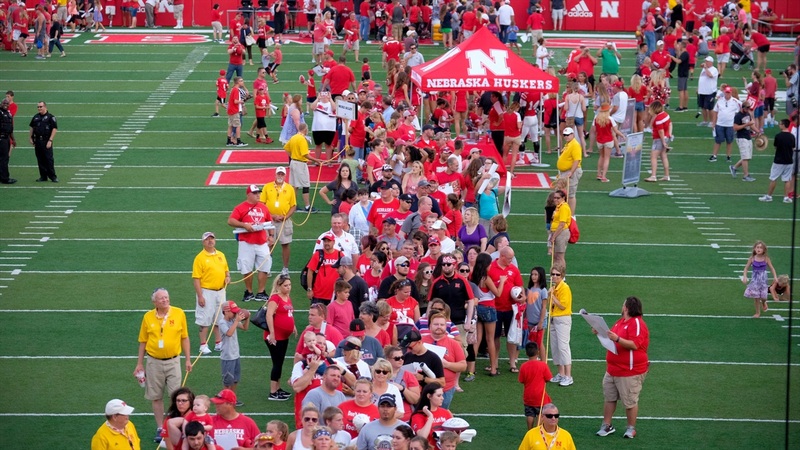 Fan Day will be held from 6:30-8:30 p.m. at Memorial Stadium. Gates will open at 6:30 p.m., and fans able to enter through Gates 3 (SW) and 24 (SE). One noticeable change to this year's Fan Day is the traffic flow for autograph lines. All players will be seated on the field on the West sideline, with lines running East to West. Assistant coaches will remain with their respective position groups. Scott Frost will be located inside the Osborne Athletic Complex near the weight room. The line to meet Frost will begin at the East apron of Memorial Stadium, and fans will return to the field after meeting Frost through the game day tunnel walk path. For additional information on parking, concessions and more, visit Huskers.com.